Did you really expect Charlton to turn around last weeks dismal effort in accommodating Millwall with a performance at high flying Burnley? A team that have started this campaign in exceptional form. It was a formidable task from the outset. Millwall incidentally continued their own resurgence with another three points at the hands of Leeds. Their first goal yesterday a very well taken effort from Martyn Woolford, one of my favourite players in this division who ran us ragged last week, after a beautiful through ball from former Addick Lee Martin. Proof that you don't need to rely on big name stars when confidence is high, these players are no different in ability to those we should be fielding! In Danny Ings and Sam Vokes, Burnley have two bright young strikers who I believe are going to shoot them into the big time next season. They certainly made short work of our tenuous rear guard yesterday after, according to the radio commentary, we had started quite brightly. 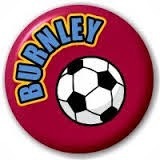 Once The Clarets had their noses in front however there was no way back for Powell's side, again depleted of it's more menacing names through injury. It seems early in the season for one to ponder the lack of strength in depth, yet I remember it being a major concern before a competitive ball was kicked back in late July. Where does the blame lie then? Chris Powell can only motivate a team so much, especially when resources are low and behind the scenes 'atmosphere's' must be at an all time high. It's common knowledge of his frustration with those to whom he must answer directly above. We had a lack of depth, he addressed that as best he could picking up players discarded by everyone else, footballers who were happy just to play as opposed to how much to gain to play. Simon Church has legs, he chases everything but lacks that deadly eye for goal that strikers need. He was the same at Reading I'm reliably informed, it pains me to say it but I think that was a desperate bit of business by the gaffer. Marvin Sordell seems disinterested and has done since the start. Whether he feels Charlton are beneath him I don't know, but he emits a facade of grandeur which will only make it harder for him to address the problem of not being good enough for his parent club. And finally Mark Gower is a steady ageing squad player supposedly there to educate the younger heads as opposed to be relied upon to put a ninety minute shift in week after week. Other than a lack of goals, it isn't much different to last year. What else could Chris Powell have done or, more topically, could anyone else have done? Very little I surmise. His record stands for itself, for a 'young' manager he's got off to a terrific start, and I don't believe a different manager would have enticed any other players, of equal or better ability, to the club with the same lack of funds and enthusiasm that our board radiate. No, I believe Powell is still the man for the ever increasingly difficult job of turning this around, but does he really want to? Every week the official club website issue's Powell's apology and a comforting reassurance that the team are dejected, how they feel like they have let us down and a strong desire to turn it all about face with a stunning demonstration of what they know they are capable of in the next fixture. Something somewhere has got to give, we've become stagnant whilst those around us have built on what they achieved last season and generally moved forwards making this campaign far more difficult for us than the last. Well all except Bolton that is. It could be that the only real way out of this is a change of ownership. Fresh faces to come in that believe in the club. Those in charge at the moment aren't going to write anything off though, they'll want to recoup as much as possible, Jiminez and Slater are businessmen first, football fans second. No, they'll hold out for top dollar, all the while the prospective acquisition becoming less and less attractive. If they end up sinking us they'll take us all down with them, some may try and jump ship first. For Chris Powell that opportunity may arise. Derby County yesterday sacked Nigel Clough. Chris Powell was revered at Pride Park, a former player of the year and he has made no secret of his fondness for the club. I've absolutely no idea on The Rams financial position but I'm willing to bet the working surroundings won't be quite as hostile as he's used to. As I said, something has to change to get out of this rut, it may not be the answer we hoped for or the desirable outcome but football has a nasty habit of kicking you when you're down. As for now we look forward (with trepidation) to Tuesday evening and the visit of Nottingham Forest. I'll do my bit and sing my heart out, I'm sure there will be a post on the club website telling us how the players feel they've to prove to us their passion and how they'll be doing their bit, the gaffer will do his bit trying to motivate and organize them, while Jiminez will no doubt do his by playing a round of golf back in Cyprus. Then, on Wednesday, we can regroup and see where all this rallying round has got us. A repeat of last season's Cardiff game perhaps? Or a hunt for a new manager?